emperumAn asks “When your history reflects this [full of defects], why are you crying out as if its my fault?”, ALavandhAr says “When I was submerged in the ocean of samsAram [material realm], you announced your presence out of unconditional grace; I am calling out to you as per prAng nyAyam (due to being present in front) as said in thiruvAimozhi 10.10.2 “kUsam seyyAdhu koNdAy ennaik kUvikkoLLAy vandhandhO” (You accepted me without seeing my defects, now you should also carry me to paramapadham immediately), I am calling out to you since your grace is the means to attain your divine feet as well, considering you are the only protector”; ALavandhAr says “Like it is a great fortune for me to attain you, for your grace too, I am an apt gain”. anantha – Oh my lord who is not limited (by place, time and entities)! Oh my lord who is not limited (by place, time and entities)! You came like a shore to me who is submerged for a very long time in the ocean of samsAram; oh bhagavAn! now, to your grace too, I am attained as an apt recipient. anantha bhavArNavAnthar nimajjatha: – (anantha!) Oh one who is devoid of three types of limitations (by place, time and entity)! ALavandhAr is saying “even if my engagement in the material realm can be measured, but your greatness cannot be measured”. Also explained as – Citing worldly ocean as an example for this ocean of material realm, ALavandhAr is saying that emperumAn is his only saviour as he is drowning in this world as said in thiruvAimozhi 5.1.9 “AvArAr thuNai enRu alai nIrk kadaluL azhundhum” (Who will be my saviour when I am drowning in this wavy ocean?). chirAya – I who is submerged since time immemorial. I who knows only to drown and not to rescue myself. 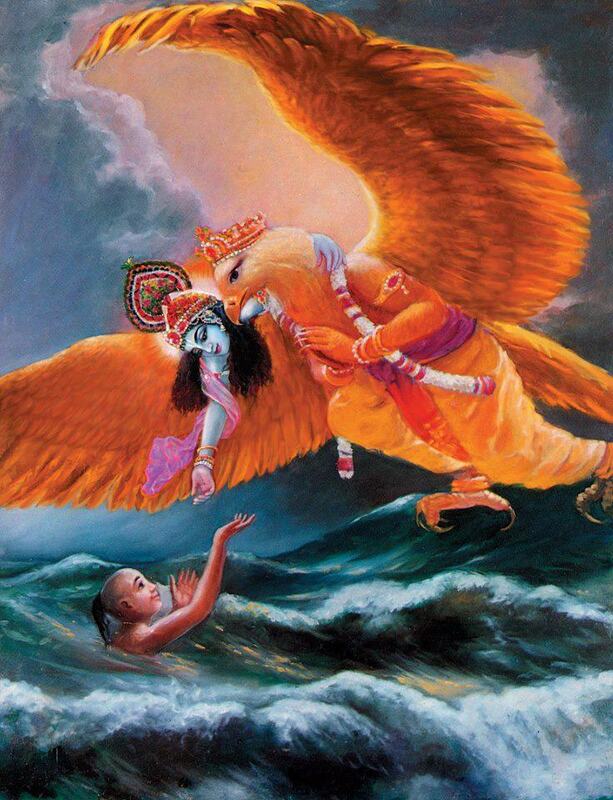 kUlam iva labdhO’Si – As said in periyAzhwAr thirumozhi 5.3.7 “un pEraruLAl ikkaraiyERi” (Reaching the shore by your grace), you became attained by me like seeing the shore where exactly one is drowning. thvayApi labdham – Your highness too gained. Just like I attained your highness, you who roamed around seeking for devotees as said in thiruvAimozhi 2.7.6 “edhir sUzhal pukku” (come across from the opposite side), attained me. bhagavan – Do I have to tell this to you who is complete in gyAnam etc [bhagavAn indicates the possessor of six qualities viz gyAna, bala, aiSvarya, vIrya, Sakthi, thEjas]? idhAnIm – In this difficult times, when even your highness gave up on me. anuththamam pAthram – the most apt recipient [of your grace]. idham – This AthmA who is the top-most in desiring for a protector. dhayAyA: – Only if there is something to be protected, your grace will become complete. This entry was posted in Other, sthOthra rathnam on January 6, 2017 by Sarathy Thothathri.